Just as we need to keep our roads and highways safe through regulations and laws, waterways require this sort of regulation as well. For this reason, there are laws, rules and restrictions for watercraft and their operators. The individuals who play a role in this are marine surveyors. These are highly trained professionals that are given a lot of responsibility and have various roles to play when it comes to overseeing the vessels that make use of the water commodities in many different parts of the world including the UK. Some of the responsibilities these experts take on are…. Marine surveyors can also inspect water vessel equipment to ensure that it is compliant with the applicable rules and regulations. Most water vessels carry some type of insurance and the boat surveyors can play an important role in this industry. They are sometimes used by insurance companies to prepare reports concerning an incident that could involve an insurance claim. Based on the training and expertise that boat surveyors possess they are held in high regard and their reporting is relied on heavily in many different circumstances. Racers, hobbyists and vacationers may want to invest in their own boat. 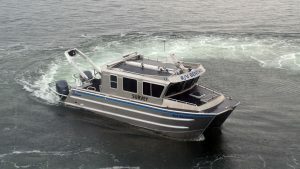 When doing so, it is encouraged that one ensures their boat meets all requirements set out by local, regional and federal authorities in terms of their boat or watercraft. There are different sizes and types of watercraft and some boat surveyors may opt to specialize in just one of the various categories. For example, some will only focus on yacht surveying. No matter what the purpose is for the watercraft having professionals like boat surveyors to rely on is highly important.